Home » Features » 10 Old-School British Thrash Albums That Put The ‘Great’ Back Into Britain Again! 10 Old-School British Thrash Albums That Put The ‘Great’ Back Into Britain Again! British thrash at its finest! What’s so bloody ‘great’ about it? With opener “Death Procession” leading us on a morbid march through bell-tolling, doom-inflected pathways, the classic sounds of 70’s UK heavy metal soon met the crunch of Bay Area thrash on the Slayer-esque title track and Deathwish’s inspirations immediately became apparent. A marriage made in heaven (or should that be hell), this juxtaposition of the UK’s world-conquering 70’s output and the equally successful US thrash sound pioneered by Metallica, Slayer et all is an all-time UK thrash classic. Deathwish’s gritty thrashed-up reworking of Sabbath’s all time classic, “Symptom Of The Universe” was an unexpected triumph but 70’s worshipping cover songs weren’t all Deathwish had in their locker. “Wall Of Lies” and the unfathomably epic “Prey To The Lord” were a sonic boom of rabid riffing fulfilling the hype this underrated band had once generated. Demon Preacher should be considered a minor masterpiece, the sounds of the pioneering 70’s combining flawlessly with the fresh and vital thrash attack from across the Atlantic. Demon Preacher and debut album At The Edge of Damnation received re-issues on CD and vinyl via Dissonance Productions in 2016 and Encyclopaedia Metallum has them marked down as active. But what they’re up to is anyone’s guess! Liked that? Try this: You only have one other option, the rough and ready – but equally as impressive – At The Edge Of Damnation (1987). UK Thrashers Solitary Release New Video / Sign With UKEM Records! 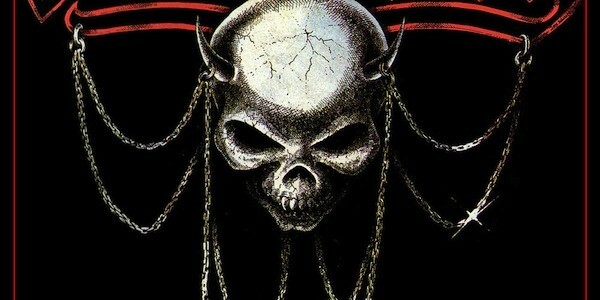 4 Comments on 10 Old-School British Thrash Albums That Put The ‘Great’ Back Into Britain Again!